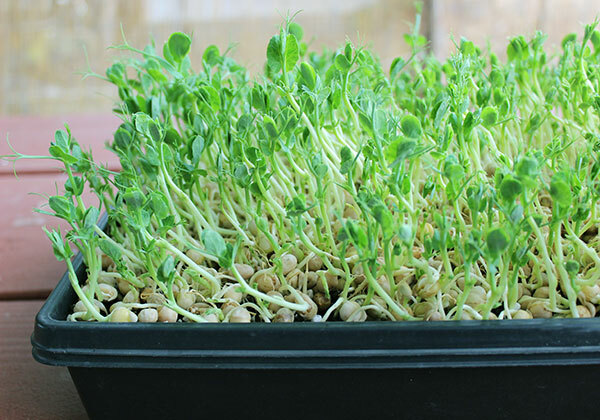 Pea sprouts are typically germinated from field or garden peas, like snow pea or the sugar snap legume, as they produce a sweeter flavor and do not contain potential neurotoxins that exist in other pea species. The shoots are additionally comprised of flavonoids and polyphenols, specifically lignans and coumestrol, which are recently being studied for their anticarcinogenic and anti-inflammatory activities. Asian cultures have long used the fresh shoots in stir-fry's and soup broths as a nutritious leafy vegetable. 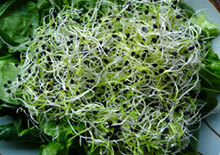 However, the widespread concept of sprouting peas and other legumes, to a large degree, came along with the popularity of alfalfa sprouts in the 1970's. More recently these greens have also gained status as a sprout delicacy used by gourmet chef's and in raw food cuisine as the spiraling tendrils have a unique and elegant look perfect for food display. 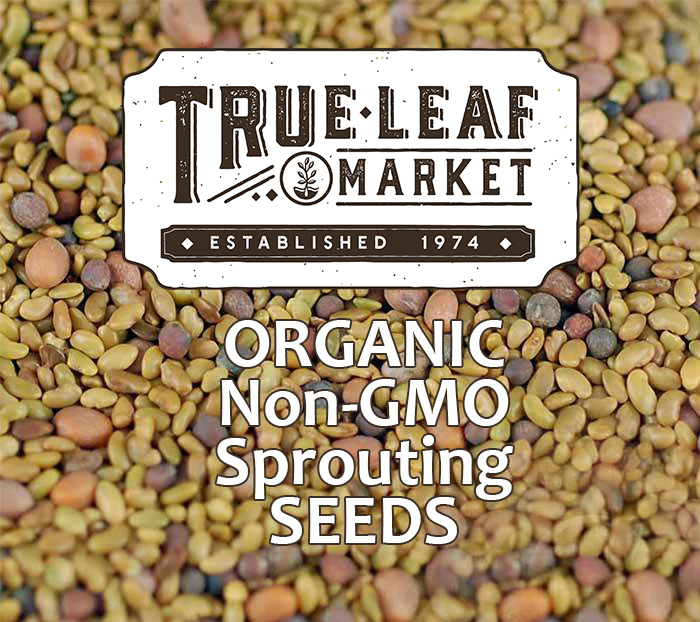 They can rarely be found at most stores, but are lately becoming one of the newer sprouts popping up at farmer's market stands and in local CSA produce boxes. They are a very rewarding green to grow as a microgreen, producing a thick hedge of leaves that can be snipped off for immediate use in foods or as a side-green with meals. 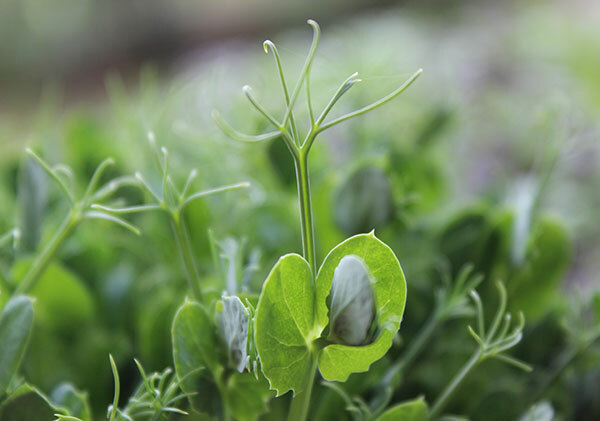 The shoots have a delicious, nutty and distinct sweet pea-like flavor with a more concentrated amount of nutrients and enzymes available compared to most store-bought produce. 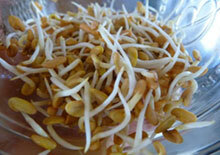 They can be a great sprout to add to your arsenal of microgreen seeds. 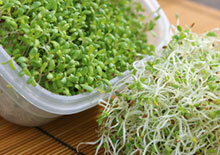 Grown as an outdoor or indoor sprout, they usually enjoy temperatures below 50-75° F (10-24° C). 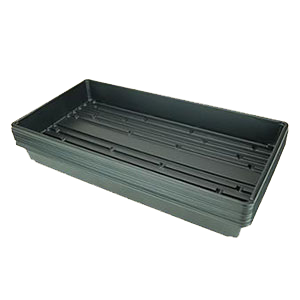 When tray sprouting outdoors, cooler seasons are best rather than the heat of summer. 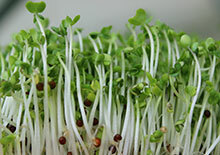 Generally, sprouted legumes or other sprouts, like buckwheat greens, should not be consumed on a regular basis, but enjoyed as an added raw salad green or a lightly steamed vegetable in soups or sautés. One of the reasons for this is that all uncooked legumes, such as beans, lentils and peas, contain a natural toxin called lectin. Peas are a soft legume variety and typically have fewer lectins than other harder beans, like garbanzos, black beans and pinto beans which, in our opinion, should never be eaten in their raw state even when sprouted. Most all beans should be cooked and preferably fermented, like tempeh, to decrease the lectin content. 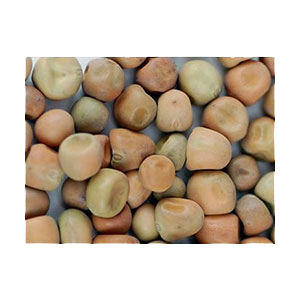 Lectins are considerably less present in the sprout than the pea seed itself as pea shoots when harvested are cut off just above the seed level. 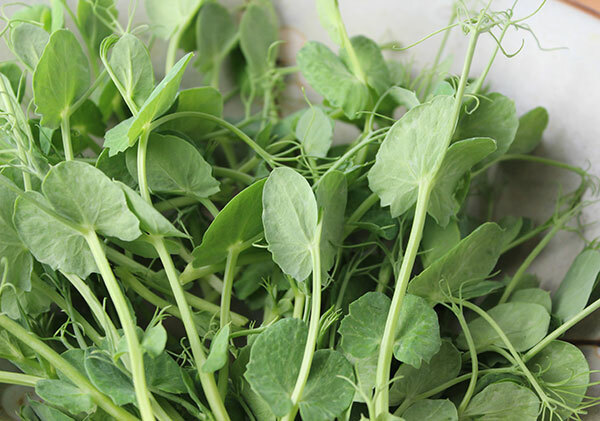 Pea shoots are primarily grown from the pea species Pisum sativum, specifically of the cultivar groups arvense, saccharatu or macrocarpon, referred to as field pea, snow pea or sugar snap pea. 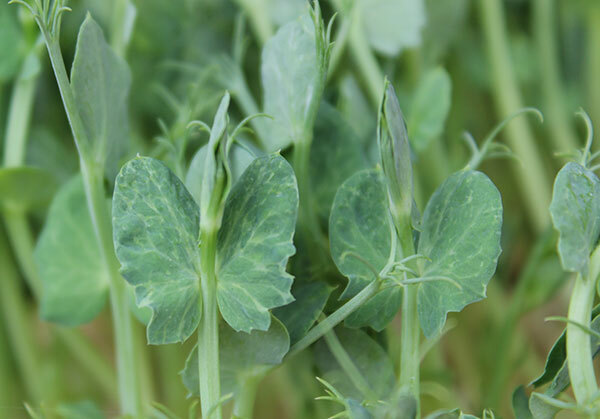 It is important to avoid using other pea species especially coming from the Genus Lathyrus, which may include Lathyrus sativus, L. cicera and L. clymenum. 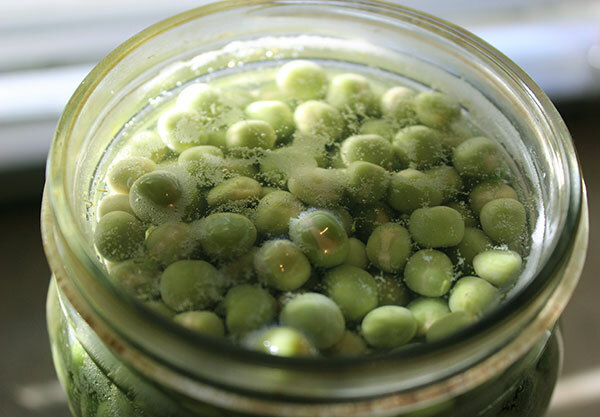 These types contain a toxin called lathyrogen causing a condition called lathyrism with side-effects that may include paralysis, hyperesthesia, and paresthesia when the peas or their shoots are consumed for prolonged periods. 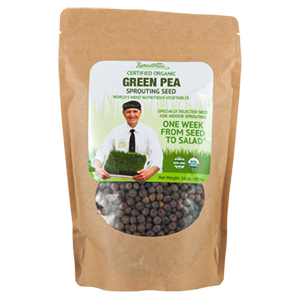 Pea greens are produced by soaking and sprouting the dried green peas and placing them on a tray of soil between 1-2 inches or 2-5 cm deep. The slightly sprouted peas are covered to provide a dark space for the initial sprouting phase. 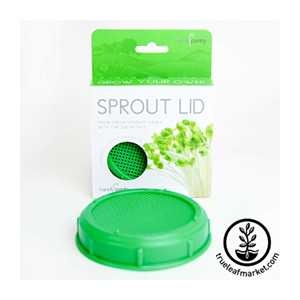 When the sprouts hit the top of the lid, it is removed and the tray is then placed in sunlight or under full spectrum lighting to green and grow into a healthy hedge of leafy greens. 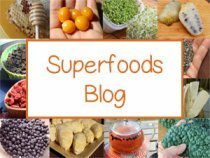 Clover sprouts, alfalfa sprouts and pea shoots are all high in a polyphenol known as coumestrol, a phytoestrogen that belongs to a class of chemical compounds known as coumestans. All dietary phytoestrogens come from three distinct categories, the lignans, the isoflavonoids or the coumestans, all of which are predominant in the legume family. 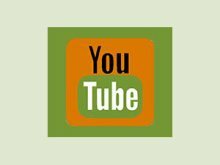 There is some controversy in the holistic health and medical community about the topic of phytoestrogens and their effect on the endrocrine and hormonal system. While we would agree that phytoestrogens are not particularly recommended for females with fibroids or tumor growth as well as those with low androgen/high estrogen levels, some phytoestrogens are considered disease-fighting nutrients, like resveratrol, quercetin and coumestrol. In a study published in the International Journal of Cancer analyzing coumestrols effects as an anticarcinogen it was stated that, "Our results show a reduced risk for gastric cancer associated with higher consumption of several polyphenols including the cinnamic acids, secoisolariciresinol and coumestrol." 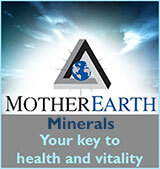 Another 2013 study showed that "coumestrol exerted strong inhibition effects on the growth of three cancer cell lines." 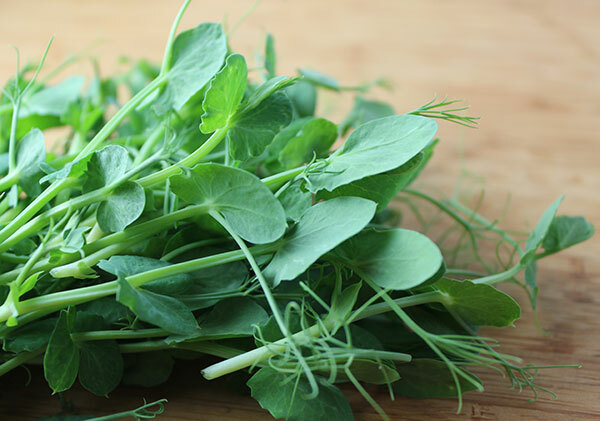 An additional natural plant nutrient found in pea shoots, similar to coumestrol, are the lignans, another classified phytoestrogen known for its antioxidant and anti-inflammatory properties. In a 2011 review, lignans as well as curcuminoids (found in turmeric), were described as "emerging anti-inflammatory agents." 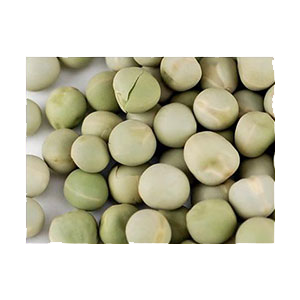 Peas are naturally high in protein content and so are their sprouted shoots, which contain between 20-25% protein. 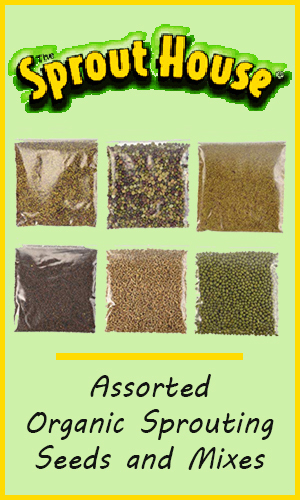 Additionally, there is often an increase of about 10% total amino acid content when the legume is sprouted. 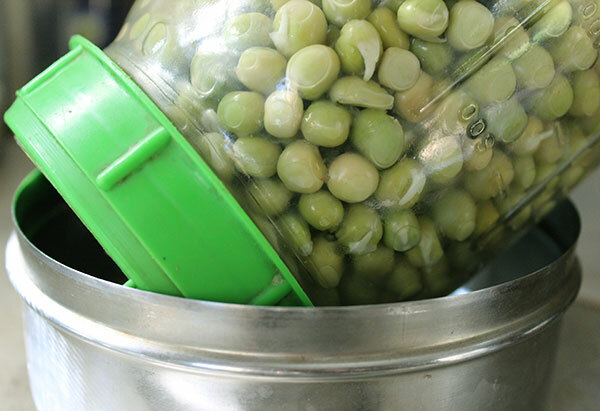 Peas in general are now commonly being used as a base protein concentrate for many vegan protein powders as an alternative to dairy-derived whey proteins. 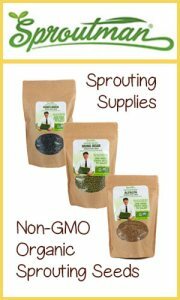 Other organic plant-based protein powders are now including sprouted peas as well as straight pea powders in their list of ingredients. 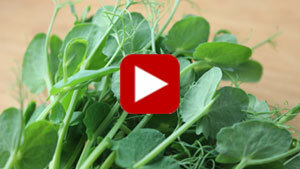 For optimal protein uptake from pea shoots it is best to consume them raw as opposed to cooked. High heat is known to destroy protein and reduce the amount available when ingested as a food source. When making soup it is best to add the greens at the end to retain nutrients, some of which will enter into the liquid broth. Pea shoots, like all sprouts, are particularly high in chlorophyll and living enzymes, in addition to several vitamins and minerals such as vitamins A, C and E, folate, niacin and the minerals calcium, iron, magnesium, phosphorus and potassium. In one study other antioxidant and anti-inflammatory flavonols were identified in the pea shoot leaves, some of which included catechin and epicatechin (also found in cacao beans) as well as ferulic, caffeic and sinapic acids. 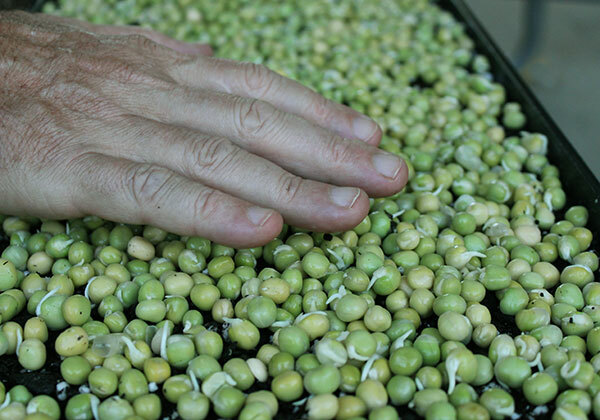 Because peas are a taller sprouting green, like sunflower sprouts, when homegrown they can provide a lot of produce, 1-2 lbs per 2 ½C of seeds, for very little effort once you get down the basic techniques. 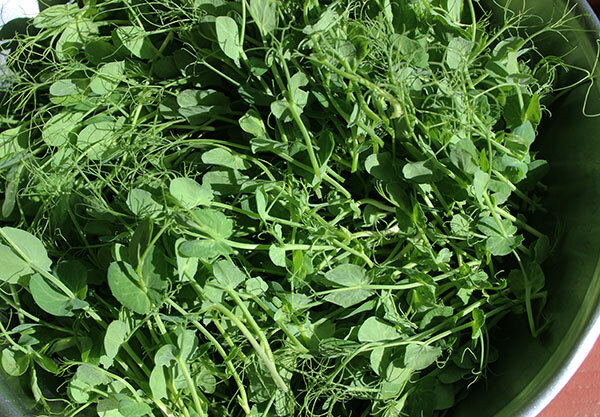 They grow best in cooler climates, which is the natural time to plant most garden peas. 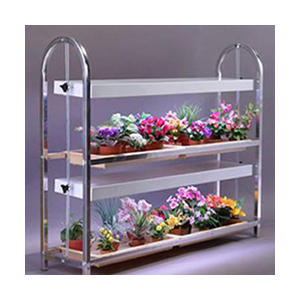 They can be grown indoors or outdoors but do best when the temperature is between 50-75° F (10-24° C). 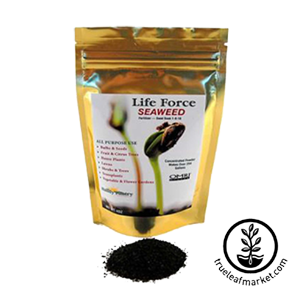 We personally like to use an organic soil-based growing medium and also supplement with ocean water or seaweed solutions. 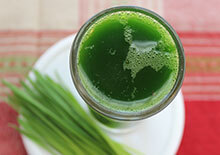 This gives your sprouts additional minerals that they will love and that you will later consume as nutrients. 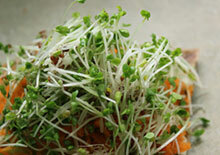 For more information on this subject visit our page on Sprouts and Food Safety Controversy. 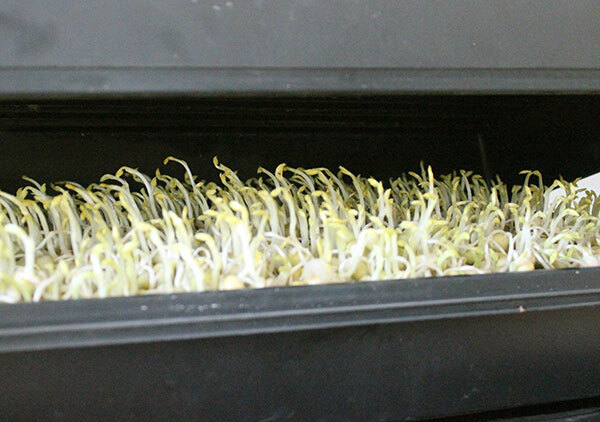 The process from start to finish takes about 10-14 days days and yields 1-2 pounds of sprouted shoots per 20" x 10" tray. This is a necessary step that involves jar sprouting the dried peas. 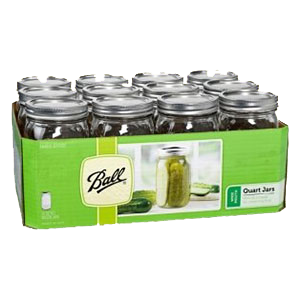 To do this simply soak 2 ½C of seeds overnight in a quart-sized wide mouth mason jar of pure water with a mesh sprouting lid. Rinse them the next day, placing them upside down tilted at an angle, in a dish or sink to drain out excess water. Continue to rinse and drain twice daily, in the morning and again at night during this process. It is best to sprout them out of direct light. After 1-2 days, depending on the temperature the peas will develop little white sprouts. 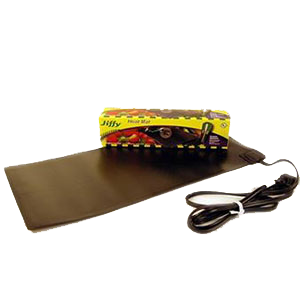 We typically use between 1-2 inches (2-5 cm) of soil to fill a 20" x 10" sprouting tray, packing it down and misting the top with water to moisten it. 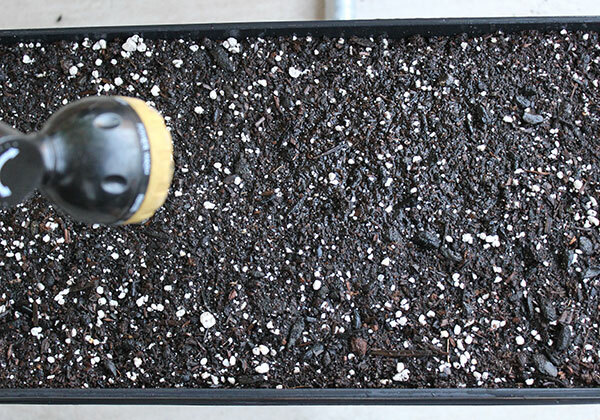 Generally, the more soil you have the less you will need to water them. 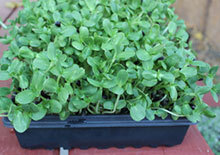 This tray size works well for 2 cups of dry and then sprouted seed. You can, however, use other types of trays; some people prefer using wood or clay rather than plastic. 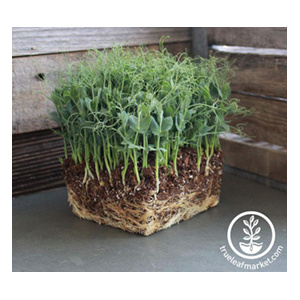 The next step is to take your jar of sprouted peas and place them ON TOP of the soil mix, spreading them out as evenly as you can. Don't worry if they are stacked on top of each other, the roots will find the soil medium below to grow in. Press the seeds down lightly with your hands, mist them well, and place an upside down tray as a lid on top of the bottom tray. 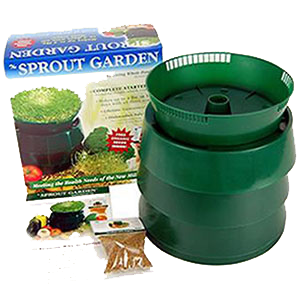 This will help to incubate the sprouts, as they tend to grow better in a dark, moist environment during the initial sprouting process. When they reach the top of the upper lid, this is when you remove the lid and allow them to "green" in indirect sunlight for the first day and in direct light the following days. 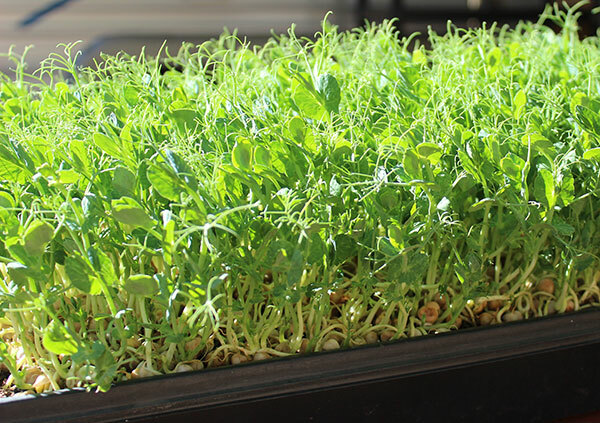 The pea shoots will be a yellow color when the lid is removed, but will start to turn green soon after they are exposed to any form of light. 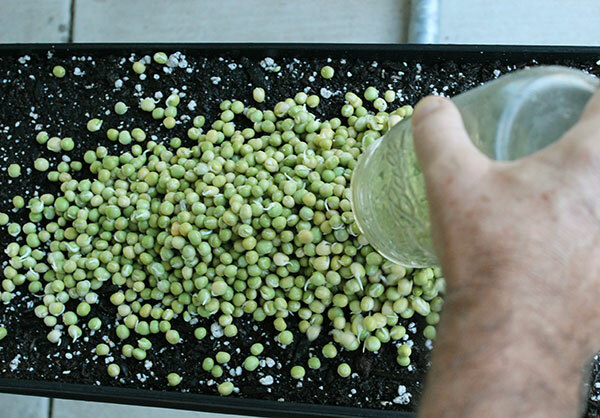 This process is called "greening the sprouts" and can be achieved in a bright sunlit window, partial to direct outdoor sunlight or indoor full spectrum grow lights. The only thing you need to do at this point is to water them daily. When the sprouts are young, a light mist will do fine, later they will consume more the closer they get to harvest. 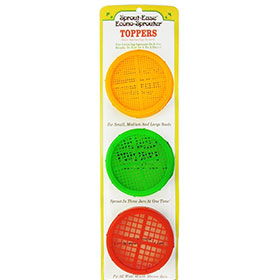 It is important to make sure they are not too dry but not too moist, so mold growth does not occur. You can usually tell the moisture level by picking up one side of the tray and feeling the weight of it. 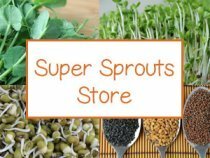 When you have a full tray of green sprouts you can place them in direct sunlight to increase the chlorophyll content and overall life-force. At about day 10-14 you will be ready to harvest and eat your sprouts. They should be green and full bodied. To harvest them, use a pair of kitchen scissors and cut the stems at the base above the soil and seed level. They can be brought inside and placed on your kitchen counter or in a sunlit window ready for use when you need them over the next several days. If you don't think you will consume them within 5 days you can alternatively harvest and store them in a container or bag as you would any leafy green vegetable. Pea shoots have a higher ratio of nutrients and enzymes when eaten raw in salad dishes, sushi rolls or as a side-green with meals. They are a frequently used vegetable in Asian stir-fry's, but we recommend adding them after the cooking time to slightly wilt the leaves, but preserve their green color, chlorophyll content and amino acid profile. The unique spiraling tendrils and leaves of the shoots are a commonly used garnish in gourmet cuisine to adorn meals and accent other foods. Because the greens are somewhat delicate they should be kept in a moistened container to retain their vibrancy, especially if you do not plan to eat them immediately after purchasing or harvesting from your own homegrown tray of shoots. 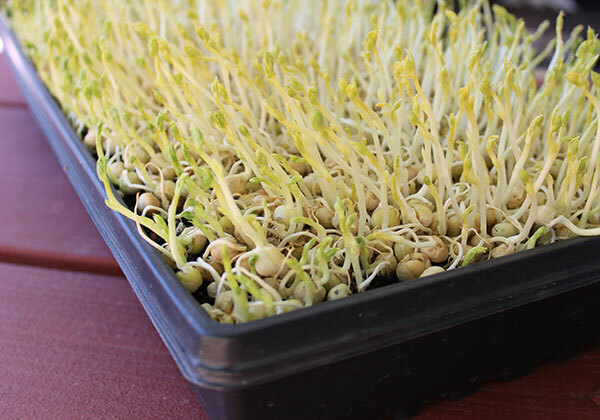 For other information when growing different sprout varieties please visit our seed measurements, sprouting seeds and how to grow sprouts pages in the links below. Because pea shoots contain phytoestrogens they should be avoided by those with high estrogen levels or by women with fibroid or tumor growths. Some individuals may have allergic reactions when the sprouts are grown inappropriately and contaminated with bacteria or mold.